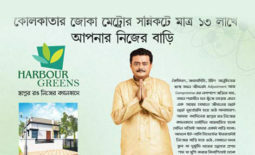 Summary: Modern bungalows and villas in Amtala, Baruipur, south Kolkata available at affordable prices of just 13 lacs. Prices may vary according to the villa size and the types of condos you might be looking for. Looking for a serene, calm and a quiet place to bury your head into? Then look no further because Harbour Greens is the perfect destination for you and your family. Loaded with all the modern amenities and with access to all the proper network and transportation facilities, Harbour Greens will blow your mind. Bottom line – it’s a good place to live. You will love it. 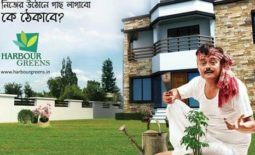 These affordable villas in south kolkata is just a block away from major points such as diamond harbour road, joka metro, tollygunj, esplanade, and close to Kolkata film city. Some of the key features include modern recreational and essential facilities, project ISO 9001:2008 certified, sanctioned panchayat plan, model bungalow ready to move in and your own place with a gated community. 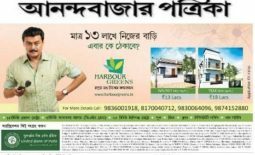 Harbour Green bungalows in South Kolkataprovide you with picturesque spaces, clubhouses and amphitheatre, sports facilities and many other facilities. There is children’s playing area, jogging spots, kids playing area, swimming pool, banquet hall, gym, community centre and amphitheatre. We also have different sports facilities including aerobics, badminton courts, central playground, games room, kids swimming, netted cricket, table tennis and volleyball. We also have banks, atms, cafe, pharmacy, electrical repair, medical store and library. What more could you ask for? It seems like the whole world is at your feet. With so many facilities in sight, it’s hard to resist owning a home or a villa in Amtala. If you are looking to get a home loan, we can arrange that as well. Financing option is available through ICICI bank or SBI bank. Condos and villas start at 13 lacs and go higher up to at least 22 lacs. This entry was posted on November 13, 2017 by Souvik Das.